What’s my personal experience with spanking? I have been spanked. I hated it. I was afraid of my mom. Sometimes I thought (wrongly) I must have been adopted to deserve such treatment, I couldn’t agree with being punished instead of being loved and respected. I swore as a child that I would never hit my own children because of the way it made me feel. I am not terribly close with my mom, we never shared secrets, never talked about my personal life and struggles, we always had arguments and misunderstandings when I became an adult. She wonders until today how come our relationship is in such bad shape. And when, sometimes, I try to hint at the reasons, I keep hearing that I turned out ok because of the way we have been brought up. No, I haven’t turned out ok because of that. I am ok despite all that. And I definitely don’t want my children to share the same broken relationship with me when they grow up. My kids deserve better, because I know better now than my own mother did then. That is why I care, and that is why I educate about other, more effective, parenting methods. All kids deserve better, not just mine. 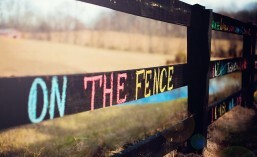 And for those curious what the whole fuss about, here is a great article from AhaParenting.com. “Were you spanked as a child? Then you may think it’s a good way to guide a child. Or maybe you don’t want to spank, but you find yourself doing it because you don’t know how else to get through to your child. Interestingly, adults who were not spanked as children don’t spank their kids. It just feels wrong to them. And you know what? They find other ways to get through to their kids. And their children turn out fine. Large, peer-reviewed studies repeatedly show that the more children are hit, the more likely they are to hit others, including peers and siblings. As adults, they are more likely to hit their spouses. The more parents spank children for antisocial behavior, the more the antisocial behavior increases. All of the peer reviewed studies being published continue to confirm these findings. As five-year-olds, the children who had been spanked were more likely than the non-spanked to be defiant, demand immediate satisfaction of their wants and needs, become frustrated easily, have temper tantrums and lash out physically against other people or animals. 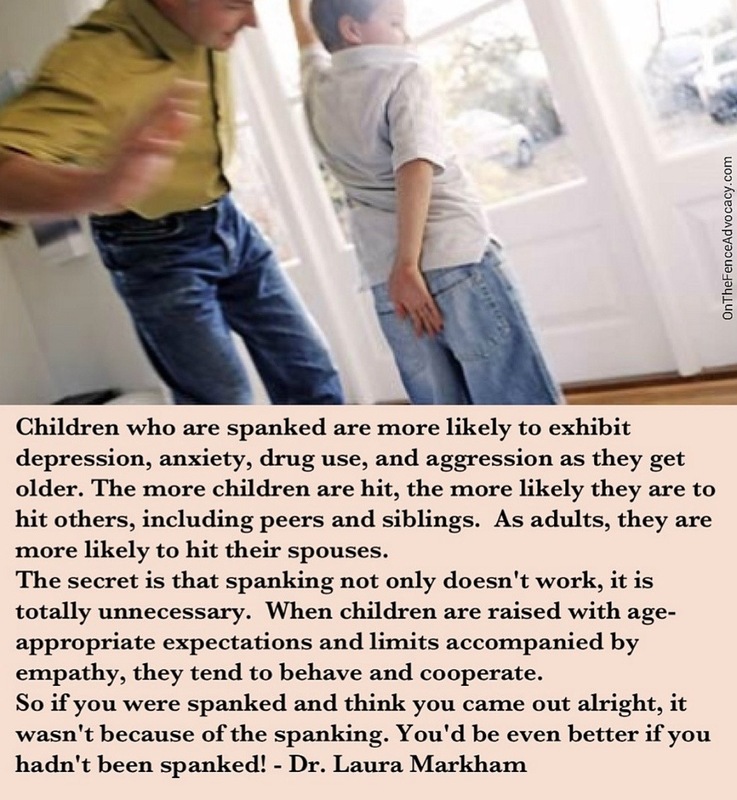 Quite simply, spanking produces WORSE behavior, not better behavior. It also begets more violence, because hitting children teaches them that it is acceptable to hit others who are smaller and weaker. “I’m going to hit you because you hit your sister” is a hypocrisy not lost on children. As every parent knows, kids do what we do, not what we say. This entry was posted in What Parents Should Know and tagged Parenting, Positive discipline, Spanking. Bookmark the permalink.